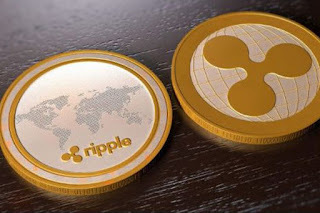 Home » Bitcoin » Bitcoin Candy Price » bitcoin price » Bitcoin Price Manipulation » Bitcoin stock » bitcoin stock price » Kodak Stock » price of bitcoin » Ripple » Ripple Price » South Korea Cryptocurrency » Technology » In 1 Hour, Bitcoin Prices Down Sharply, Why? In 1 Hour, Bitcoin Prices Down Sharply, Why? New York - The value of a number of major virtual currency fell sharply on Tuesday (16/1/2018). The decline was due to investors monitoring the warnings from some regulators and increasing crackdowns on the virtual currency market in China. Quoting CNBC, a sharp decline occurred in bitcoin prices, reached its lowest point in 1.5 months. In addition, the price of ethereum and ripple also decreased significantly. Data Coindesk showed, bitcoin prices had dropped to levels below 12,000 US dollars for the first time since December 5, 2017. Bitcoin prices had touched the level of 11,685.24 US dollars. That number fell by more than 10 percent compared to the position in the previous hour. Meanwhile, based on CoinMarketCap data, the price of ethereum fell 18 percent to 1,090.96 dollars. The ripple price also fell nearly 26 percent to 1.37 dollars per token. Earlier this week, authorities in China reportedly planned to block domestic access to Chinese and foreign virtual currency platforms that allowed trade to be centralized. Regulators will also target individuals and companies that provide trade-related services that are centralized. In the past month, bitcoin prices surged to a record high of 19,343 dollars. However, it has since declined gradually. In the past month, a number of virtual currency futures exchanges appeared, among others by CME and Cboe. Until Tuesday morning local time, the bitcoin index on Cboe fell by more than 12 percent. As for the CME fell more than 13 percent. "This decline appears to be due to a lack of buyers in Asia," said Mati Greenspan, senior analyst at eToro. He explained that Japan and South Korea typically dominate trade in the virtual currency market. However, in recent days, the volume has decreased, where today the volume drop from both countries is down 30 percent. South Korea was reportedly drafting rules to ban virtual currency trading last week. This makes bitcoin prices and a number of other virtual currencies plummeted dramatically. 0 Response to "In 1 Hour, Bitcoin Prices Down Sharply, Why?"